For Carey Brothers Remodeling, one of the big challenges in authentically renovating and updating a historic 111-year-old bungalow was to carefully integrate a number of today’s beneficial technologies into the project without affecting the vintage appearance and charm of the original structure. The century-old home, located at 604 Second Street in Brentwood California, is a modest 1,177 sq. ft. catalog design mail-order kit that was among 600 or so small houses constructed in a nearby mining community about 1906 – and it was later moved intact to its current location. The challenge actually began right at the front door, as – back a hundred or so years ago – household security was not the important issue that it is today. In fact, it was not uncommon to leave doors unlocked or, in some cases, to not even have a lock at all. 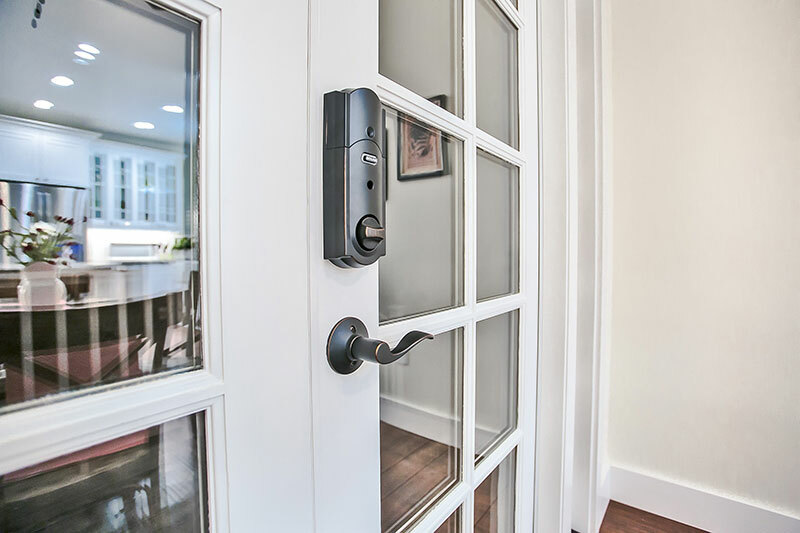 Today, security is a major concern for homeowners and lock manufacturers have not only met the need to safely secure homes, but have also developed and incorporated a vast array of hi-tech features and benefits that extend both protection and conveniences to new heights only imagined until recently. One such manufacturer is Schlage, a time honored leader in perfecting both locks and door hardware whose beginnings actually took place in 1909 – just about the same time the little 604 Second Street home was built – and when Walter Schlage patented his first invention: a door lock that also had the ability to turn a home’s lights on and off. Still recognized as a leader in both the development and introduction of cutting-edge lock technologies – and with a rich history of locks through the years – Schlage was a logical place for Carey Brothers designer, Carol Carey, to start her search for just the right blend of new and old for this particular project. Beyond simply looking great, the new technologies provided a vast array of conveniences for homeowners, Robin and Mike McClellan, who could now not only eliminate the need for hard keys, but could also control and grant access for friends and family with just a few taps on their smart phone even while many miles away from home. For more information, visit www.schlage.com. Learn more about the historic renovation by visiting http://604secondstreet.onthehouse.com.